Scrillionaire Scrilla teams up with Detroit videographer Dexta Dave for another great visual for the video entitled- “Paranoia” The video is filled with intense cinematic scenes and vivid lyrics that keep you captivated from beginning to end. The video is directed by Dexta Dave, a native Detroit videographer who has filmed countless videos for artist such as Tee Grizzley, and Snap Dogg. With production from San Jose producer Vybe Beatz, who has produced for several artist including Chris Brown, and Meek Mill. 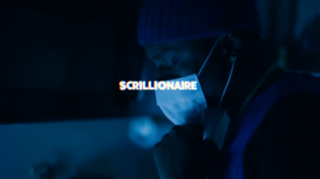 With a video backed by strong production and great visuals, “Paranoia” definitely stands out as Scrillionaire Scrilla best work as of yet.